The axolotl (Ambystoma mexicanum) looks like a fish, but it is actually an amphibian. Even though they have lungs and can survive on land, they most often use their gills to breathe underwater. If the water dries up, they can change (or metamorphose) into a life stage. 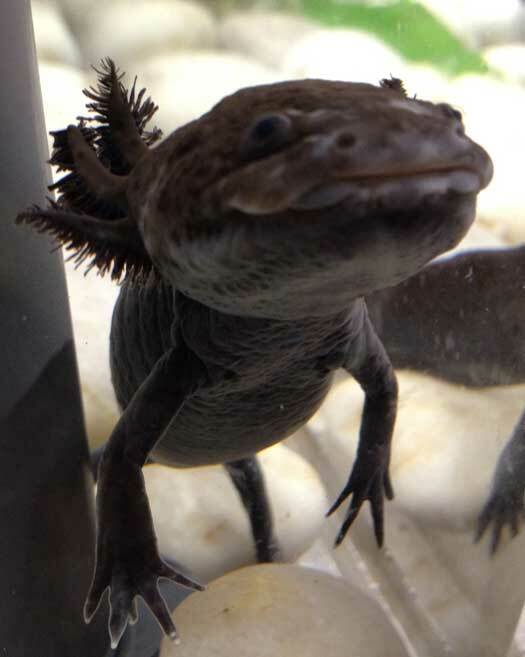 Axolotl are known in part for their wide mouths (it almost looks like they're smiling!) and their ability to breath air. 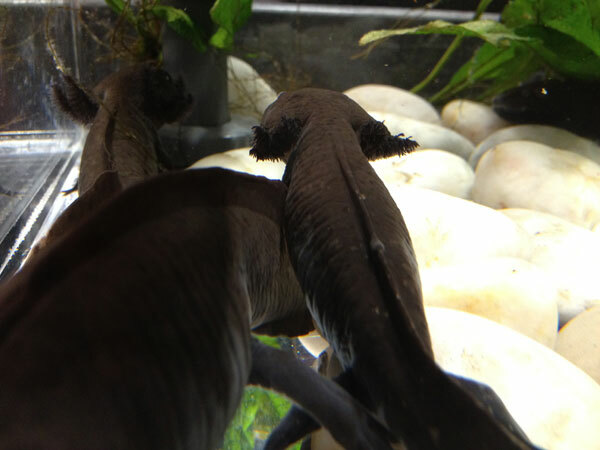 They also have feathery external gill stalks, which increase surface area for oxygen exchange. This species is critically endangered due to habitat loss in the ancient waterways near Mexico City. But they are doing quite well at the Aquarium. 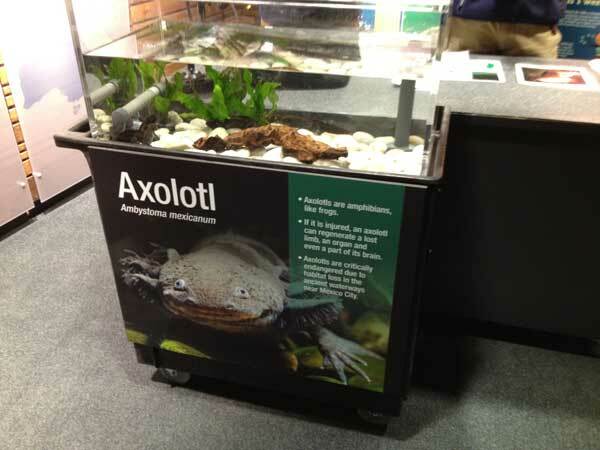 Their comfy tank and special cart is often brought out for our live animal presentations where educators share lots more interesting facts about axolotl and answer your questions.